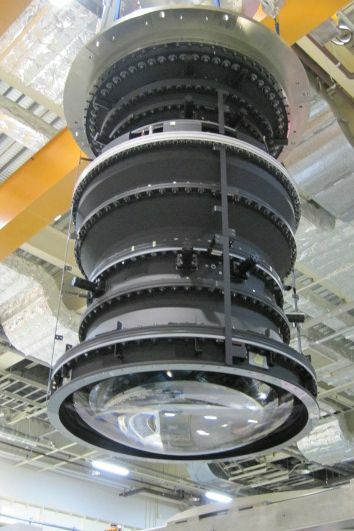 On March 29, 2011 the Wide Field Corrector of the Hyper Suprime-Cam (HSC) was completed by Canon Inc. This is to be mounted on the prime focus of the Subaru Telescope at Mauna Kea, Hawai’i, sometime between November 2011 and January 2012. HSC (Hyper Suprime-Cam) is one of the two mainstays of the SuMIRe Project. This is a “hyper wide field camera” to be mounted and installed on the prime focus of Subaru Telescope (see 2nd slide photo on the top page). As its name depicts, HSC is the upgraded version of the current Suprime-Cam (Subaru Prime-Focus Camera), and is a huge (3 ton) 900 million pixel digital camera. This Wide Field Corrector (1.7 meter height) is a part of HSC, consisting of 7 optical lenses with sizes up to 1 meter in diameter. This WFC is to be installed in front of the camera’s CCDs to correct the optical aberration and atmospheric dispersion of the prime focus. 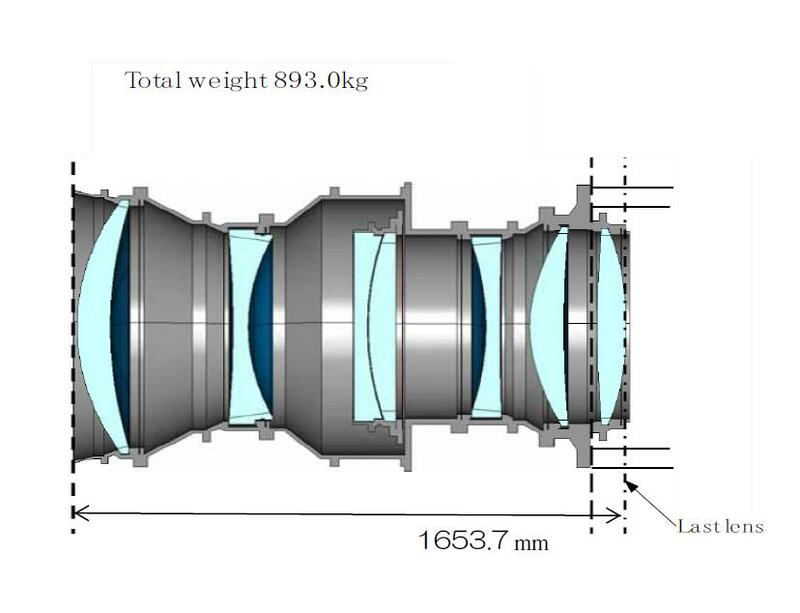 This “Hyper Suprime-Cam (HSC) Wide Field Corrector” was built by the Utsunomiya Optical Equipment Section of Canon Inc., and all stages of manufacturing, lens assembly, and optical performace tests have now been completed. View of the Subaru Telescope - the prime focus is at the top. 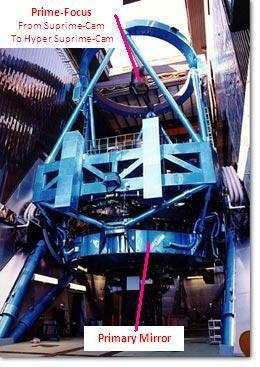 The present Suprime-Cam mentioned above is now operated on the prime focus of the Subaru Telescope. 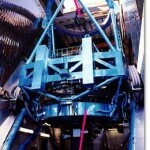 The HSC (Hyper Suprim-Cam) will be installed on the telescope, replacing the current Suprime-Cam. Light from the sky is reflected in the primary mirror (8.2 meters in diameter) and collected onto the HSC through the Wide Field Corrector. The field of view is some 10 times wider than the current Suprime-Cam. This wide-field imaging capability enables the observation of millions of faint galaxies in the very deep space simultaneously. The countdown has just started for HSC installation, the next-generation wide-field camera of the Subaru. The first light will occur sometime between November 2011 and January 2012, and full operation will come later in the year 2012. The data to be taken will enable precise measurement of galaxy morphology, providing information on the dark matter distribution of the universe. This will explain the true nature of dark energy, which is the main factor that governs the universe. Thus, a great step is being taken toward our goal, “to reveal the origin of the universe and to explore its future”.